Driving value from your hotel spend: the 64,000-dollar question! This is the third in a series of posts taking a broad view of the value you can unlock when booking hotels. Roomex enables you to reduce hotel costs – savings that go straight to your company’s bottom line. 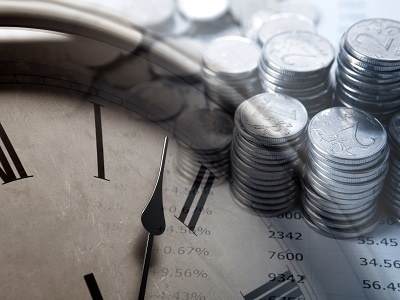 Which is already great news for company finances – but it’s just the start. Roomex will get you the best rate by accessing 35 sources of supply. Or your own negotiated rate if better. Typically, this delivers savings of 15% or more. In contrast to agencies and travel management companies, there are no fees or commissions whenever you book through Roomex. And there is no signing-on fee or contract. Roomex immediately finds the best offers, so you do not need to search. This typically cuts the average time to make a booking by a factor of ten (e.g. from ten minutes to one minute). Admin time that adds up over the course of a year. 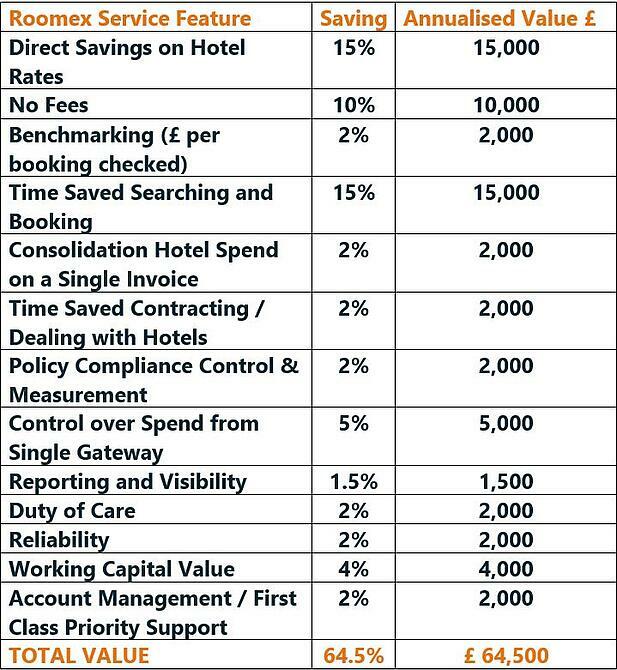 All your hotel spend is consolidated on a single invoice, with all necessary information including your internal cost codes, at the end of the month – saving hours spent processing individual invoices. Roomex's expert team of negotiators deal with hotels every day to secure collective group pricing. Your travel expense rules are loaded into your personalised Roomex application, thereby ensuring compliance with minimum time-consuming manual processes required. With your entire hotel spend going through Roomex, you have complete financial control over travel operating expenses. You can identify savings, average cost per night etc. at a glance. Advanced reporting and business intelligence built into the Roomex platform allow you to analyse spend by any of your chosen criteria (projects, departments, geography etc.) without admin effort. This also lightens the burden of reporting to internal and external auditors. Roomex makes it easier to abide by your duty of care to employees – we check all hotels to ensure they provide safe and appropriate accommodation. Interactive maps on the Roomex platform mean you can pinpoint their whereabouts immediately, and get in touch when necessary. Booking through Roomex simplifies check-in and check-out for your employees. They do not need to pay for accommodation or even expenses (using the Roomex billback facility). This allows them to focus on doing business. Roomex employees are experienced hotel and business travel professionals. Priority support is available should any of your business travellers run into difficulties. All in all, the value really adds up if you make Roomex your standard platform for managing your hotel spend category and take advantage of its advanced capabilities. Even if all these values don’t apply in your case why not calculate for yourself what the savings would be and then get in touch and allow us to make that happen. View our full Value Calculator.